After 5 years of almost complete silence, the symphonic power metallers ReinXeed is back! They released 6 albums in 6 years starting with ’The Light’ back in 2008 to ’A New World’ in 2013 , then they went undercover. 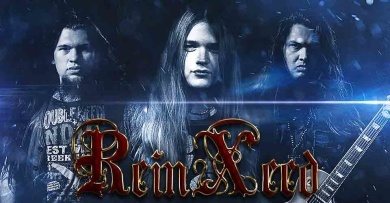 ReinXeed is where Tommy Johansson, current guitarist in Sabaton, started his metal journey! For 5 years they might have been quiet for the public, but not in the studio. Hard work with new music has been going on, which is by far their best and most well produced to this date! Today ReinXeed is Tommy Johansson (Guitar, Vocals), Alex Oriz (Guitar), Chris David (Bass) and with them on drums for Sabaton Open Air they will bring their good friend Daniel Sjögren from Twilight Force. This marks the comeback of ReinXeed and their first gig in 5 years, they promise a hell of a show! The Alliance will rise again!